WHAT'S UNDER THE HOOD OF A HOCKEY STICK? Prior to launching, we did 18 months of research with a beta team of 15+ players. We wanted real feedback from real players to ensure we would be offering the best possible stick we can get our hands on. The result is a Coastal hockey stick we're proud to make available at a price that won't make you cringe. how does weight impact quality? what type of carbon weave & why does it matter? what is a "kick-point" and how will it affect my shot? We hate to say this, but our findings were that it actually does. While it feels great to hold such a light stick, you lose all sorts of features: responsiveness, pop, consistent flex, general feel. But most notably, durability is lacking. Pictured here is a stick we got down to 396g's but this is what happened to the blade after a single game! Our solution was to add a little more weight (416g total stick) to provide greater durability so you don't have to turnaround and buy another stick in a month. Don't worry. It's still light and responsive as hell. We tried out multiple weaves which you've probably played with: UD, 50/50 fiber glass blend, 3K, 12K twill, 18K. UD - nothing worth mentioning. 50/50 - very inexpensive, but heavy & lacking durability. what is a kick-point and how will it affect my shot? 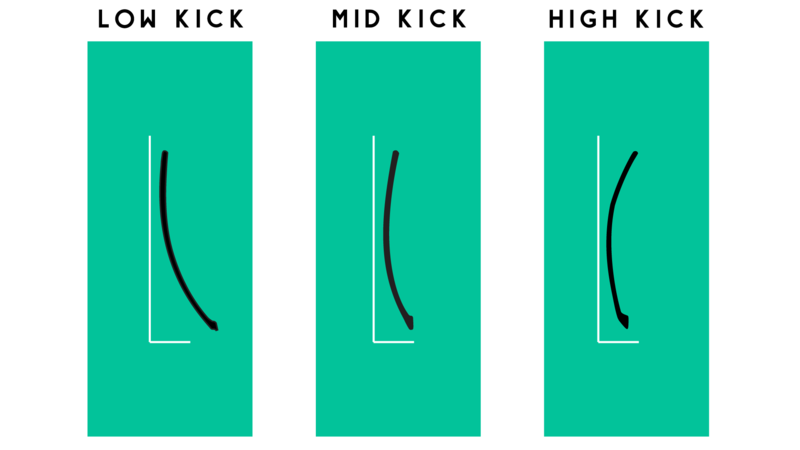 The kick-point of a stick refers to the point where the stick flexes. For competitive, semi-pro, and pro players, the kick-point is a pretty big deal. Watch some pros and you'll notice how the kick helps with their shooting style. Kucherov uses a high-kick because he likes his hands closer together as he releases a shot. Pastrnak uses a mid-kick because he likes the versatility of the quick wrister and also the one-timer at the top of the circle. Laine uses a low-kick for the quick release, wrist-shot (it's not fair how quick he gets a shot off). For the average beer leaguer, you aren't going to notice the difference in kick-points all that much. No offense or anything. We know you're good and all. We carry low and mid-kick options so that way you still have the option of trying them out for yourself. Head over to our Stick Fitting page to learn more about how to choose the right stick for you or get in touch if you want a real human to talk to.